Now you tell me just who is to blame? I, for letting you touch my heart? You, for coming just to depart? ‹ PreviousWhat Is In A Name? Beautiful poem Anand Bose from Kerala. “You, for coming just to depart?” Oh, right to the heart with this line. Lovely, Frank! You captured a touching mood. Nicely done. Time to discover your inner nihilistic stoic. “The only thing you can truly control are your own thoughts and behavior. But even then, what does it matter, all is futile.” If you set those on opposite sides of a teeter-totter you can toggle them about for years — if not a lifetime. A very relatable piece…well done! Sometimes, the price of love can be high, but worth it. The memory of that one touch of the person you like could last a life time as something nostalgic and worth cherishing, but on the flip side could also bring us to great chasms of pain and despair when you yearn to relive that moment again, in vain. 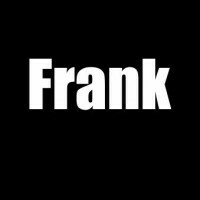 Great concept and great poem Frank! Hi, Frank! It feels so real how ur feeling…😔 hope u can remember that u r not alone. Thank you so much, Elize. Made my day. Someone should put this to music, Frank. How beautifully you have illustrated the pain. Really great. Omg. Pain of death and separation. It hurts. It truly does. But it is important to acknowledge it and thus process it in our own ways. Maybe the accolades of your audience continue to spur you onwards towards escaping your own perdition. Beautifully written poem filled with longing for your love. my heart, turned off and then turned on again, won’t work anymore..
Lovely and heartbreaking … I felt it. Thanks.